Have enough stuff, but know there are homeless animals who don’t? 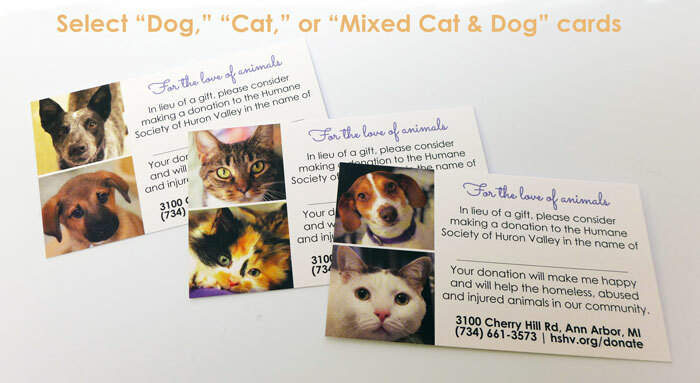 Please complete the form below to get free “in lieu of” cards to let gift givers know of your preference to donate to HSHV. Thank you for your generosity! To whom should we mail the cards?